Bhanu Kapil teaches through the animal and time at Naropa University. A recent seminar examined the intersections of the novel and performance art. How might a fiction writer return the sensorimotor sequence—notes from the nervous system—to the scene? Ban en Banlieue, a full-length work derived from performance experiments presented in Los Angeles, Berkeley, Brooklyn, Boulder, Delhi, and London, was published by Nightboat Books in 2015. 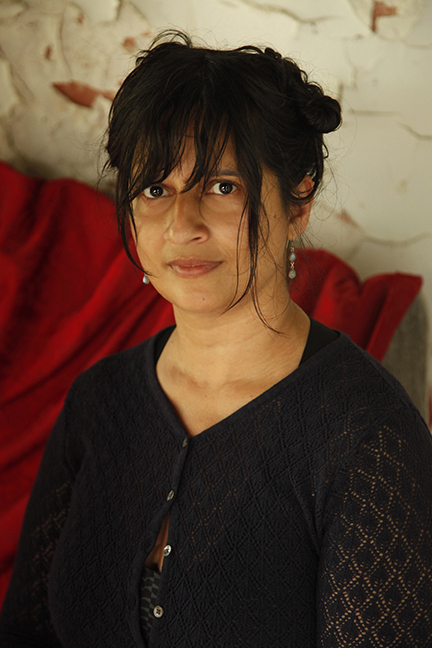 Bhanu Kapil is a contributor to Nerve Lantern issue 5.